This Kikkerland Universal Travel Adapter has a slim profile that adapts electrical outlets of more than 150 countries. (Note: doesn't convert electricity). When on the road, our devices become home base—as in—our connection with the homeland. There’s not much that’s more important than having the proper power-up gear. To get juiced up across borders, we recommend the Kikkerland Universal Travel Adapter. It’s the swiss army knife of adapters with enough plug configurations to cover over 150 countries. It’s one of the smallest & lightest universal adapters we’ve seen so far (stay tuned for more adapter reviews soon). With its flat, thin and flexible design, it’ll easily slide into any laptop bag or carry on without the added bulk. And did we mention it sells for roughly $10? Measuring at a mere .5 x 1.75 x 4 inches and weighing only 1.75 ounces means you have to do a little Rubik’s cube-like magic to configure it to the outlet you need. It’s actually pretty fun, especially if you’re into legos. Kikkerland Travel Adapter almost blocking the outlet next door. Melbourne, Australia. While it does fit into almost any outlet, it isn’t the most durable of adapters. If you have something heavy plugged into it, it can come loose from the outlet (for example, the power brick of a MacBook Pro). And some of the robo-transformations can leave prongs where you don’t want them—as in blocking the outlet next door. 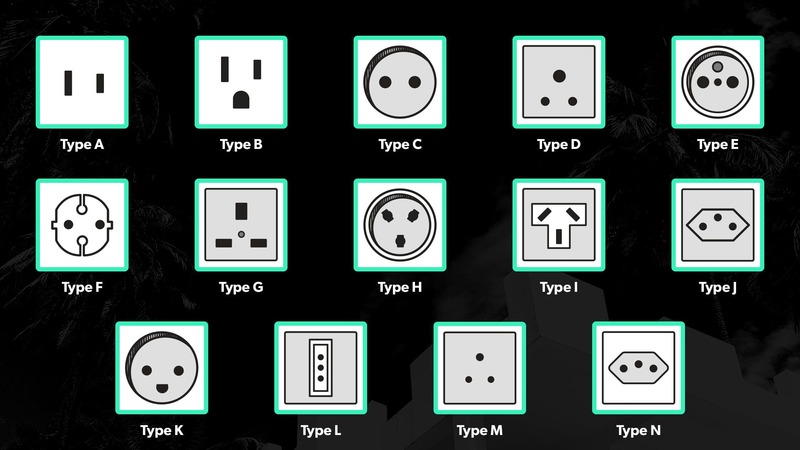 Type A: appears in The United States of America, Canada, Mexico and Japan (here’s a little nugget of knowledge: did you ever notice the prong contacts on each side aren’t always symmetrical? Sometimes, one is taller than the other, indicating a “polarized” circuit. 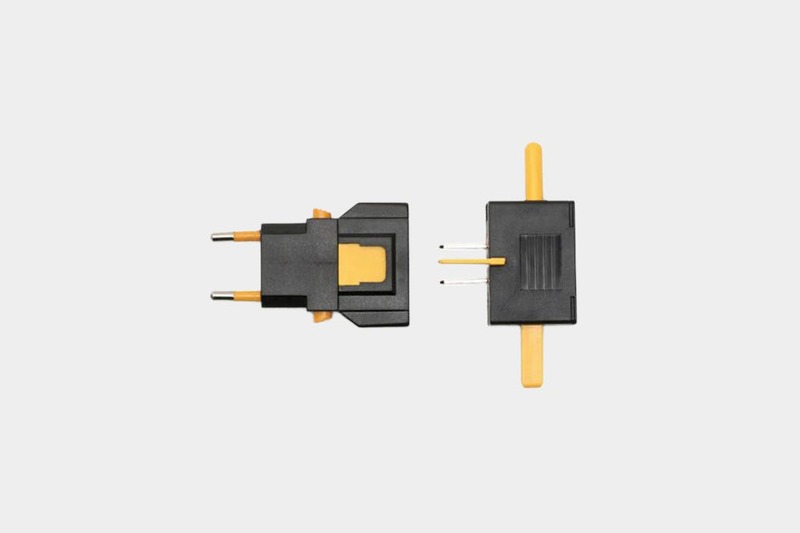 This prevents the “hot” prong and “neutral” prong from being swapped). Type B: appears in The United States of America, Canada, Mexico and Japan (these aren’t always symmetrical either!). Type C: appears in Europe, South America and some countries in Asia. Type D: appears in India. Type E: appears in Slovakia, Poland, France, Belgium, and the Czech Republic. Type F: appears in Europe amd Russia, excluding the UK and Ireland. Type G: appears in The UK, Ireland, Malaysia, Malta, and Singapore. Type H: appears in Israel, the West Bank and the Gaza Strip. Type I: appears in China, Argentina, New Zealand, and Australia. Type J: appears in Liechtenstein, Switzerland, and Rwanda. Type K: appears in Greenland and Denmark (also, the outlet looks like it’s got a pretty happy face going on). Type L: appears in Chile and Italy. Type M: appears in South Africa. Type N: appears in Brazil. One important thing to note is this thing is NOT a converter. It’s only an adapter, so make sure to check the voltage situation in the country before plugging in. Most phones and laptops are dual voltage, but some other items such as old hair dryers are not. You can take a look at the nameplate on the electronic device in question to be sure. Feels a little cheap but functions like a champ. Usage on the daily and it’s still going strong. Making use of more and more configurations, still impressed with the design. Another country, another configuration. 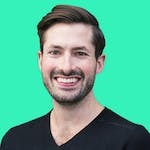 While it sometimes can feel like a $10 product, it’s longevity proves otherwise. The small, versatile design and minimal weight is perfect for packing. Will convert basically any outlet you throw at it. Great price hovering right around $10. The transformers-like mechanism is great, converting over 150 outlets. Works with a 3 prong US plug (Type B), but doesn't ground the wire. It’s not always a snug fit and can come loose from the outlet if you have something heavy plugged in. It’s a converter and not dual voltage, but that’s OK as most modern day devices are dual voltage. Be sure to check the voltage of your devices before using. It doesn’t always feel the most durable, and some of the moving parts can stick. 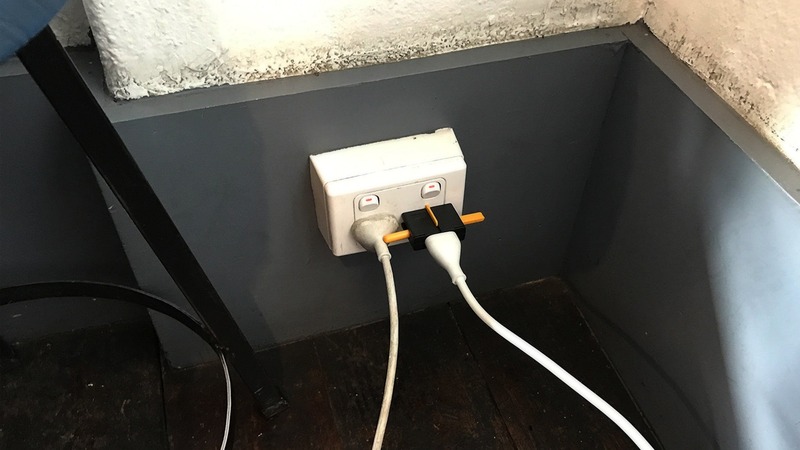 One of the configurations can block the outlet next to it. The Kikkerland Universal Travel Adapter is one of the most compact designs we’ve ever seen and makes it ideal for traveling light. Some configurations can be a bit clunky at times, but overall is fun to play with, and does what it needs to do. Coming in around $10, it’s a great piece for anyone looking for a versatile adapter.